Imagine trying to get a large number of people to head into the Canadian Rockies in sub-zero temperatures. Not easy, but that’s exactly what happened at the 15th Annual Active Living Research Conference held in Banff, Alberta. 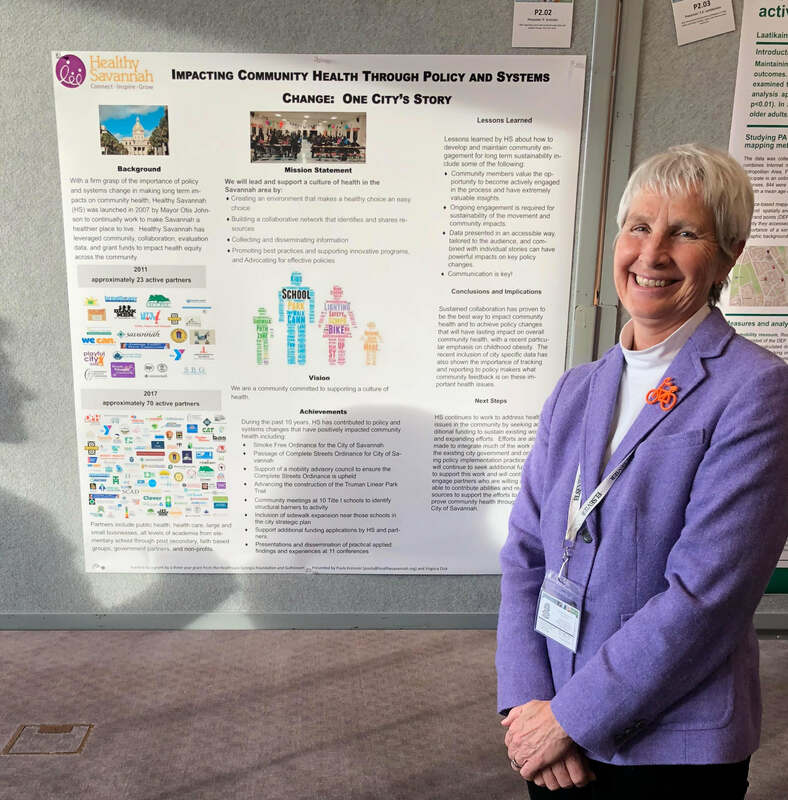 The conference hosted over 400 academics, private think-tank fellows and public health professionals from over 30 disciplines, focused on sharing ideas about how to create and sustain active living environments with one shared goal: Building a culture of health. I was honored to represent Healthy Savannah. The 2018 theme was ‘Future-Proofing Activity: Application Across Sectors.’ Delegates were challenged to consider the future of activity across all sectors and to reflect on applications that will minimize the detrimental effects of technology while finding ways to maximize its benefits. From all of the information presented at the conference, I would like to propose a specific call to action for Savannah and Chatham County: Support investment in safe walking environments near our schools. This will result in healthier kids and direct cost savings for our school system. As an example: In Auburn, WA, improved pedestrian infrastructure near the community’s public schools has saved $240,000 a year in busing costs. The sessions at the conference also impressed me with the amount of local, national and international academic research available, providing evidence that specific interventions work well to increase a community’s opportunity to have access to physical activity. This healthy culture touches all generations. While I was at the conference, one thing I realized early on was that younger generations are engaged in building a culture of health. I’m a baby boomer who was happy to spend time every day with these engaged millennials. So I extend this challenge; no matter your age, gender, race or religion, let’s do something to promote active living within our communities. Paula Kreissler is the Director of Healthy Living and Community Development at Healthy Savannah, a public-private initiative committed to supporting healthy lifestyles and making Savannah a healthier place to live. Healthy Savannah is a leading sponsor of enmarket’s Encourage Health Education Series of wellness lectures by respected experts sharing insights on nutrition, fitness and general tips for healthy living.